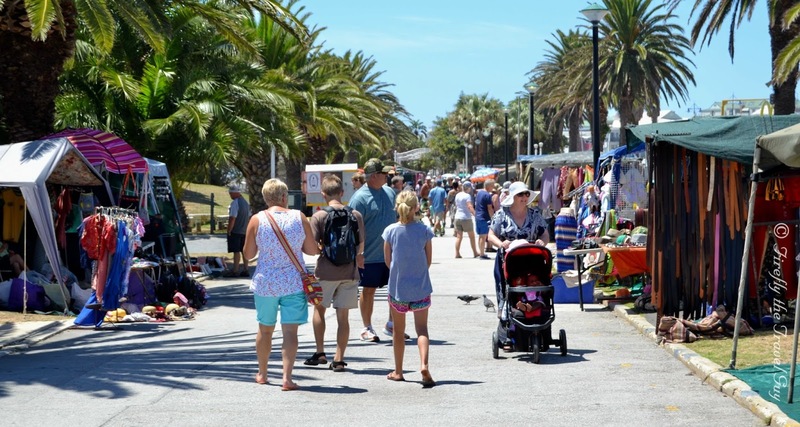 Last Sunday we went for a walk along the Kings Beach Flea-market. Something we haven't had time for on a Sunday for quite a while. Although you can still pick up a few very nice things for gifts and souvenirs (and there were a few tourists and locals doing just that), it really isn't what it used to be a few years ago. Such a pity really as it's always been a very popular family pastime to go for a walk at the market on a Sunday and many people still do. It's just not quite the same anymore. 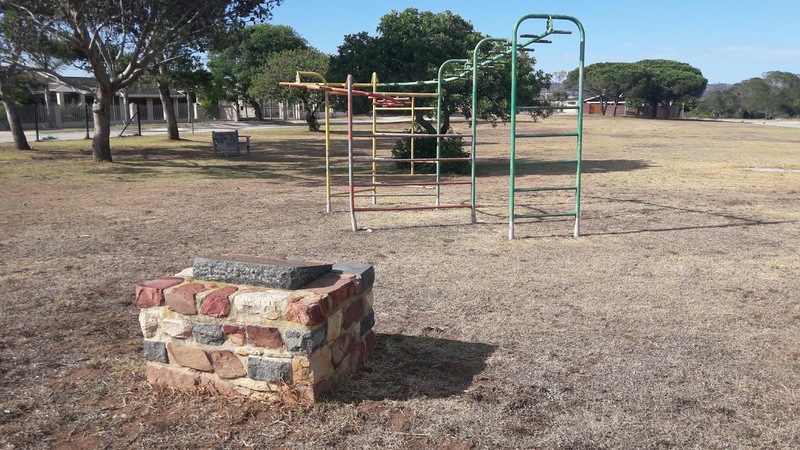 During my weekly tourism slot on LuisterFM 90.6 last week the Lister Memorial in Summerstrand came up in the conversation. Even though the presenter had seen the stone monument before he had never knew what it was for. I just realised again that there aren't many people who did know about it and even if you had seen it you wouldn't know who Joseph Storr Lister was. So I decided to report a post I did about it in January 2011. Please excuse the recycled picture as I didn't have a chance today to swing past there to take a new photo. 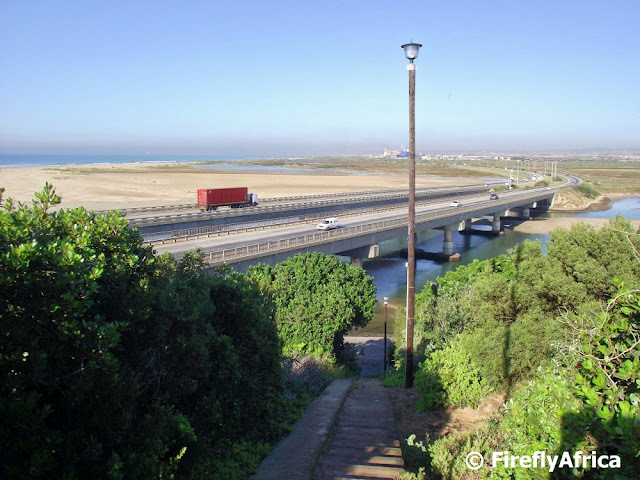 The area along Port Elizabeth's southern coastline which is reached via Marine Drive is where the Driftsands area can be found. In the late 1800's the movement of sand dunes towards the town was very worrying to the town council and plans were devised to stop the sand from "invading" and overrunning Port Elizabeth. One of the things done was a railway line that was built along the dunes and all the town's garbage was taken out there by train and dumped on the dunes. In the late 1880's Josep Storr Lister came up with an idea to stabilise the dunes by planting Port Jackson trees and exotic grasses. He commenced his work in 1890 and was successful in stabilising the dunes both in Port Elizabeth as well as on the Cape Flats in Cape Town. Only problem though is that the exotic species have today become a problem in the area and we now work towards eradicating them and allowing indigenous coastal bush to take its place. 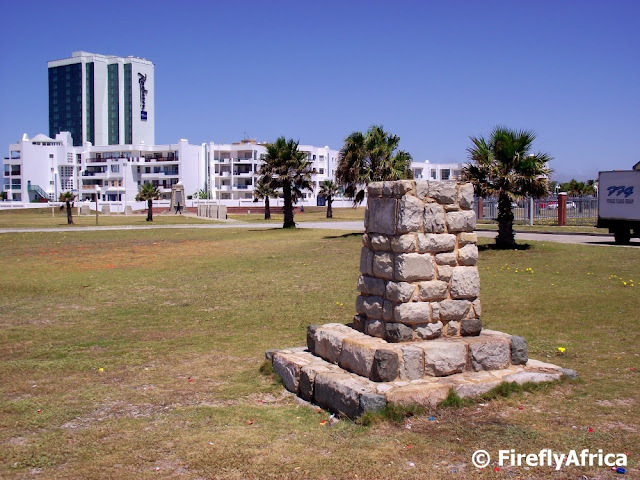 A small stone monument stands in Summerstrand next to Marine Drive as a memorial to the work Lister did. Unfortunately the plaque that told the story on the memorial got wings and disappeared many years ago. Last night I got to go to a function at the Noordhoek Skiboat Club for the first time. 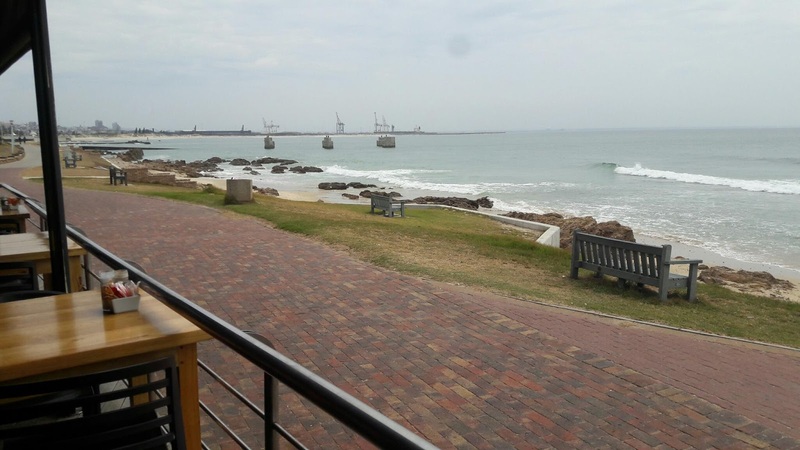 It's hidden away on the coastline just below Marine Drive on the Wildside and consist of a nice big bar / restaurant space and an outside undercover braai area, all overlooking the coastline. Actually a very nice spot for a party with a stunning view of the ocean up to the Cape Recife lighthouse in the distance. Township tours are very popular with international tourist visiting our beautiful city but its not really something many locals go on. 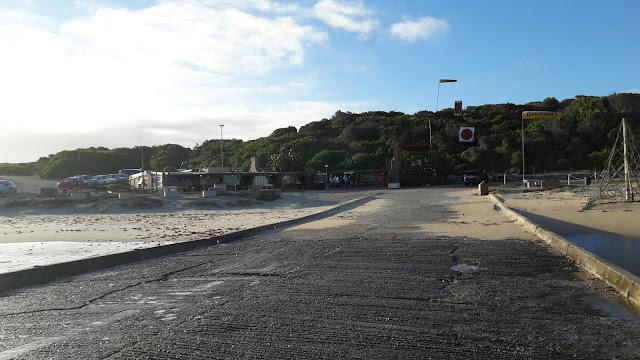 I've had the opportunity to explore the townships on a few occations in the past and with a variety of guides and I have to say that it is something every South African should do at least once. Especially white South Africans. One of the local guides offering township tours is Sithembiso Geoff Foster of Ezethu Tours. Sithembiso grew up and worked in the townships all his life and will give first hand information of what goes on there. One of his tours is the Liberation Struggle Heritage Tour which covers a lot of the sites and important events took place in Port Elizabeth in the early years as well as in the build up to South Africa's democracy. Today's video is one I found that was shot during one of his tours. Drama Princess' school had their interhouse athletics at the Oval today and I volunteered to help out on track side. 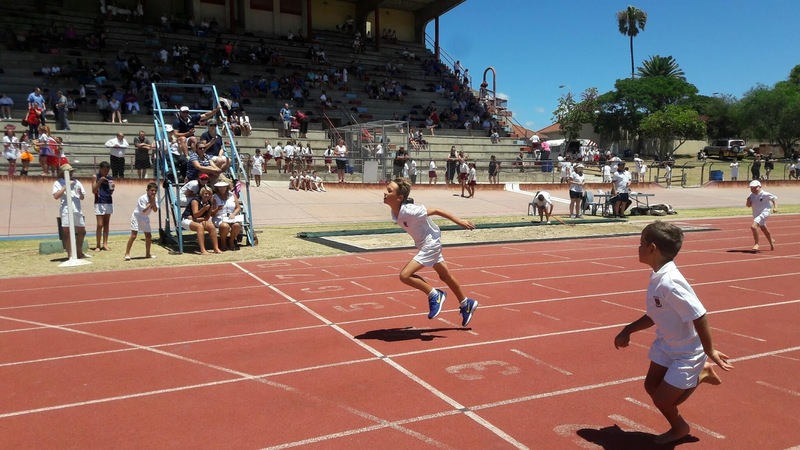 Arriving and walking onto the track immediately brought back memories of my own school athletics days. The smell of the tartan track, kids singing on the stand, cheers for the runners, chants of "hou bene hou" (hold legs hold) during the long distance events and so many other little things one seem to forget when you don't do it anymore. One thing that has changed though is my age and that I realised once again halfway through my leg during the the parents / teachers relay. I may just feel it tomorrow. With the first ODI in the series between the Proteas and Sri Lanka taking place in Port Elizabeth this Saturday I thought it appropriate to post a photo featuring the hallowed green grass of St George's with the Duckpond Pavilion in the background. Hope the boys make the home crowd proud. This morning I joined a couple of colleagues for breakfast at Angelo's on the beachfront to celebrate one of their birthdays. Sitting there watching a couple of dolphins pass by we all just realised again how privileged we are living in this beautiful coastal city where we can sit and have a meal with a view like this. 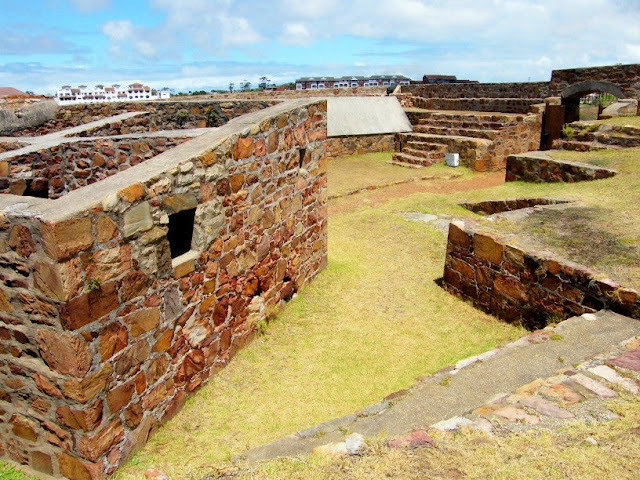 Fort Frederick sits above the Baakens Valley overlooking the Port Elizabeth Harbour and was built in 1799 by the British Forces to defend the mouth of the Baakens River to prevent a possible landing of French troops to assist the Graaff-Reinet rebels. The fort was named after Frederick, Duke of York who was the Colonial Secretary at the time. Ironically the fort never fired a shot in anger although it was defended by eight 12-powder guns. I spent my day in the garden mowing the lawn and cleaning my rock garden. Weeding the garden wasn't that hard because it so dry at the moment that even the weeds are dying. We seriously need rain. But my day also meant that I didn't get to go out and take a few pictures for this week's posts which means I really need to get out there tomorrow. 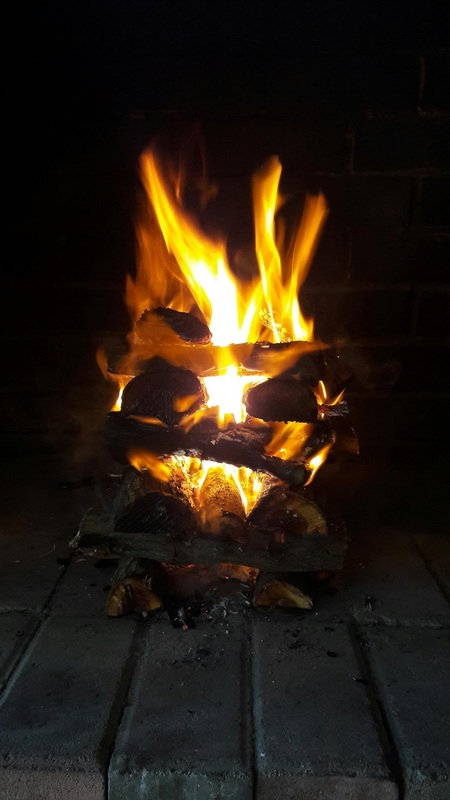 Anyhow, after a hard Saturday's grafting it was time to light the fire for a braai. For a big period of the time that I worked for Nelson Mandela Bay the tagline used by the organisation was "Discover Freedom". It was a play on words using the link of Nelson Mandela's name and freedom from Apartheid but also referred to the freedom the city offers visitors to choose what they want to do without saying "you have to do this or that", our wide open spaces, wildlife and many attractions. When I started working there in 2007 this was the destination marketing video that we were using and to be honest, I still enjoy it. Before all these wind farm that have been going up at Jbay, the Tsitsikamma, Blue Horizon Bay and on the Addo Road there was only one. 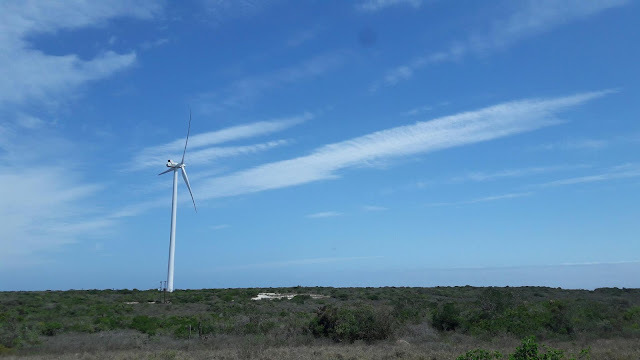 The very first wind turbine to be erected in the area was the one close to the N2 in the Coega Industrial Development zone. One that's still standing all by it's lonesome self. I took a drive through the IDZ today and decided to snap a pic of it. So how high does one jump when you're walking around in the grass looking at the horizon and see movement from the corner of your eye to find about 10 of these colourful Elegant Grasshoppers all around your legs. In my case pretty high as I did taking some photos with my phone in the Coega area. Sorry I didn't have my camera to get a better picture though. 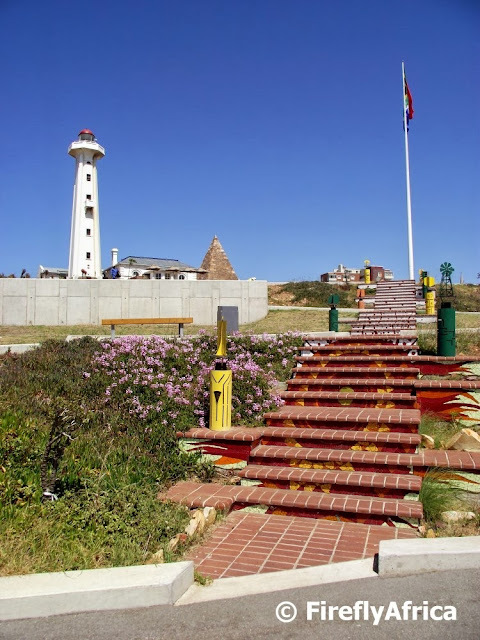 The view up the Mosaic Steps at the Donkin Reserve must be one of my favorite views of this iconic spot. 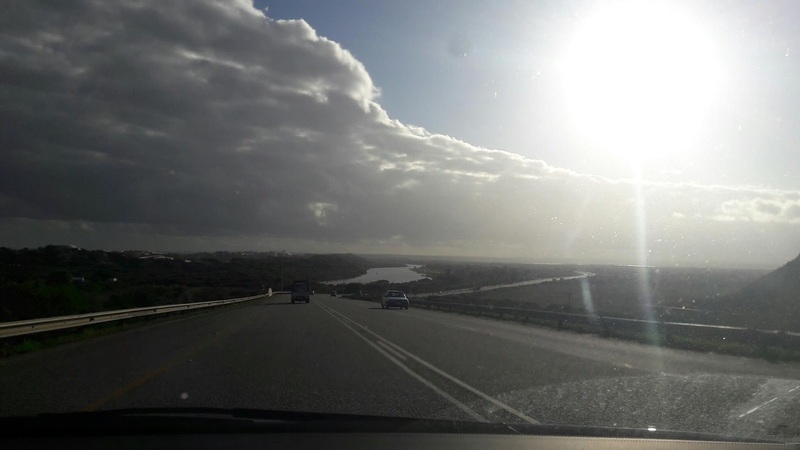 I was on the Wild Coast for a meeting this morning and drove back this afternoon with rain just about all the way. As I was approaching Port Elizabeth there were more clear sky around and coming down the hill towards Colchester and the Sundays River the clouds looked like an approaching front. With my phone mounted on the dash I just pushed the camera button and clicked a pic. A totally "wrong" picture in anybody's book. Skew horizon, bad light, sun flare, dirty window and wasted space with the road but hey, that's what I got under the circumstances. Just inside the bay near the Cape Recife Lighthouse stands a beacon similar to the lolipop beacon at the intersection of Marine Drive and Admiralty Way. 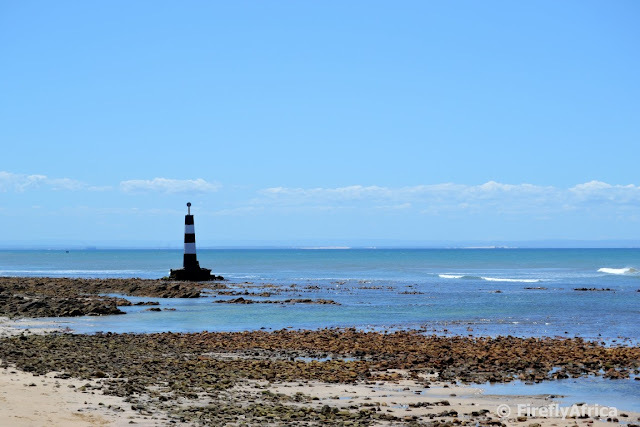 The two beacons date back to before modern navigational technology came into use and showed the way for ships sailing into Algoa Bay. Ships sailing along the coast from the west had to line up the two beacons before they could turn into the bay. 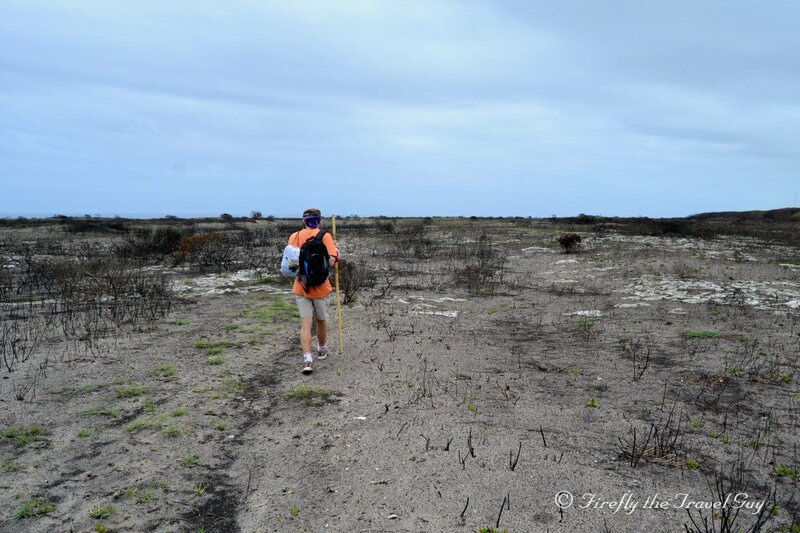 This ensured that they were well clear of Thunderbolt Reef at the point as well as the reefs inside the bay itself. While looking around YouTube in search of a video to post for this week's Video Friday post I came across this one featuring video footage from the late 50's and 60's. Not a lot of vintage footage like this around. For the second time in a week I visited a park with a little monument and plaque while Geocaching. This time it was John Shelton Park in Humewood. So who was John Shelton? 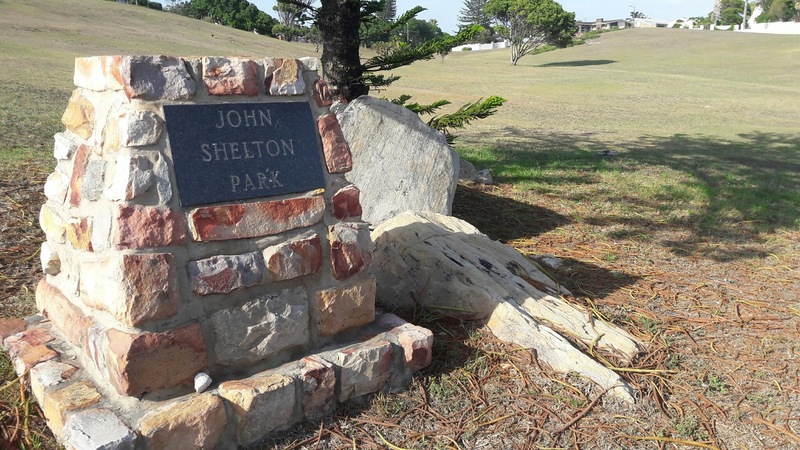 John Shelton was the Director of Parks for Port Elizabeth until his retirement in the late 1970's and played an important role in the establishment of Mannville Open Air Theatre in St. George's Park in 1972. 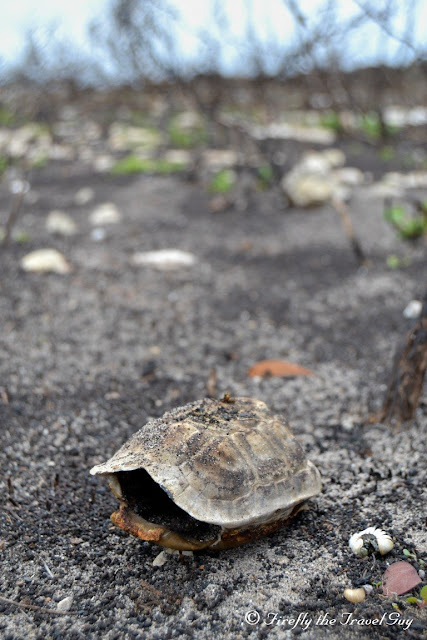 Walking along the Fynbos Trail at Schoenmakerskop observing the devastation of the recent fires I just realised again how the little guys, like tortoises and snails, are the biggest victims. 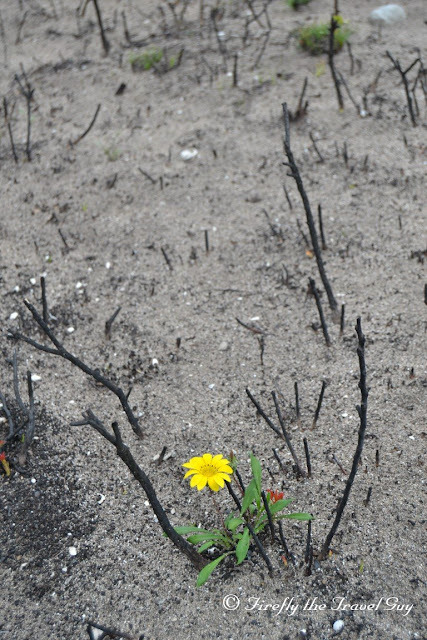 In early December a huge fire swept through the bush on the Wildside in the Schoenmakerskop area. 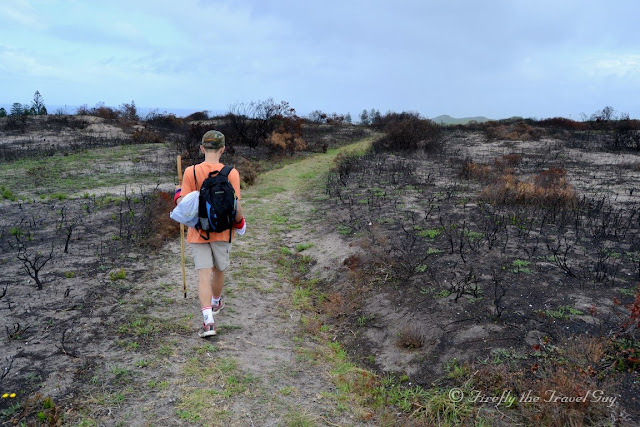 One of the specific spots effected by the fire was the Fynbos Trail that starts next to Sappershoek in Schoenies. I am the cache owner of the PE series of Geocaches that is located along the Fynbos Trail and last Friday Chaos Boy and I headed down to do the trail and some much needed maintenance replacing the caches damaged by the fire. The devastation of the fire is mind blowing but it is fantastic to see how green sprouts and flowers are appearing all over the burned out landscape. We're usually home having a braai on a Saturday evening but today we headed to Baywest for some late afternoon shopping and dinner while Chaosboy went ice skating with a friend. 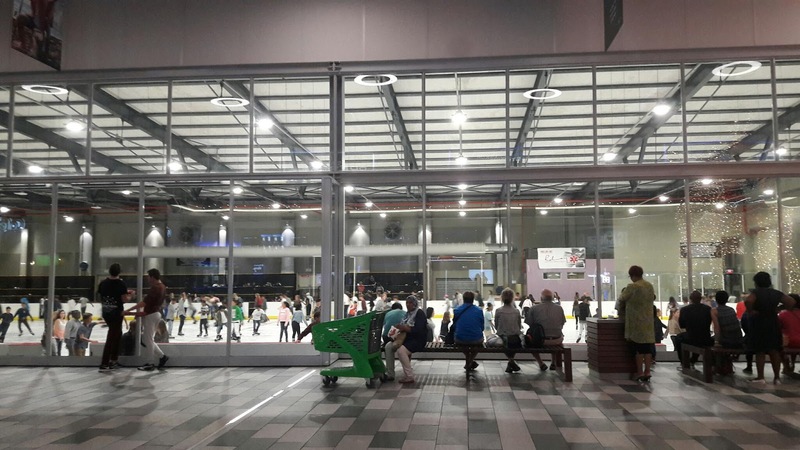 The entertainment area and food court was buzzing all afternoon and got even busier as the sun went down with people (young and / or old) either going to the ice skate rink, movies or the restaurants. The Port Elizabeth to East London Surfski Challenge takes place every two years and this year about 80 paddlers participated. This week's Video Friday post is one by Mark Roach showing a couple of highlights of the 2016 challenge. 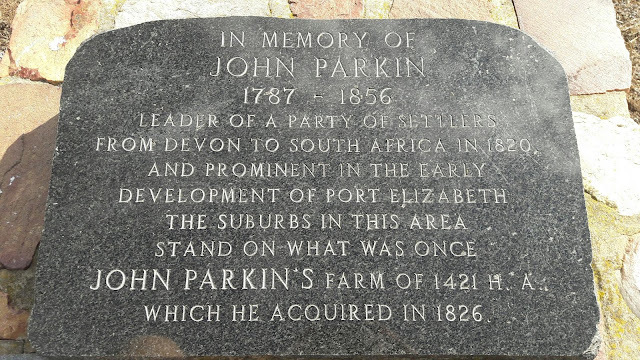 JOHN PARKIN'S FARM OF 1421 H.A. WHICH HE ACQUIRED IN 1826. I never knew this little monument was here not that the suburbs in the area (probably Fernglen, Sunridge Park and Framesby) is located on what was once a Settler farm. Just shows once again that there are still things in Port Elizabeth even I haven't discovered and how big a role Geocaching can play in discovering these places. 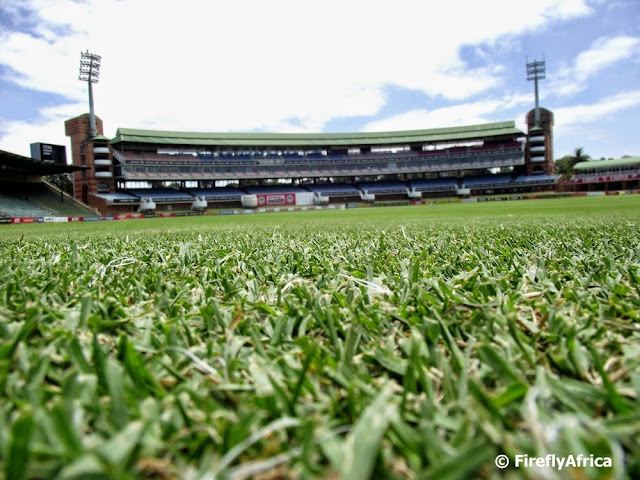 You can see how dry it is in Port Elizabeth at the moment by looking at the grass. Brown and dry. Driving from Mount Pleasant to Seaview most people always seem to be in a hurry and fly down Seaview Road. 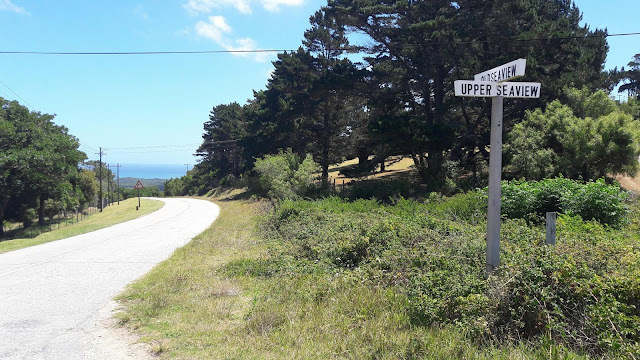 I enjoy taking the slower more scenic option and drive along the Old and Upper Seaview roads. There are much better views from up there. 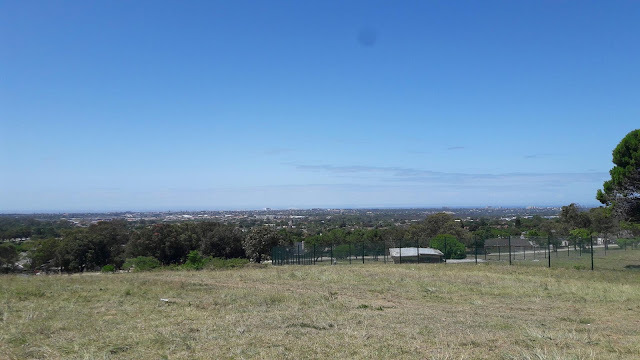 I have always thought that the view from the top of Melsetter Road on Lovemore Heights are one of the best panoramic views of the city. I passed through the suburb again yesterday and tried to take a photo to share with you. 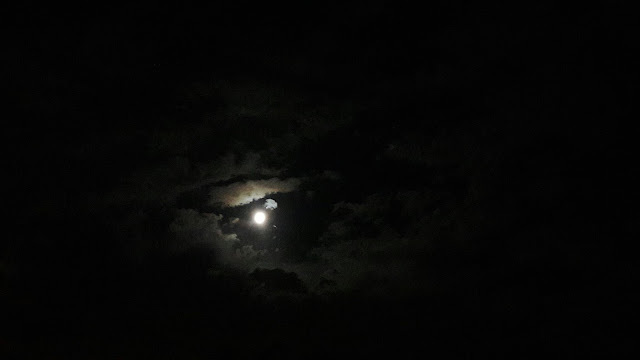 It's impossible to show the view properly by using the camera. Your eye just zoom in automatically and if you zoom in with the camera you loose the rest of the view. So for this one those of you who live in PE and have never been there will have to go and check it out yourselves. Oh the lazy days of Summer. There is about a week left before school starts, some people are back at work tomorrow and most will be back by Monday so make the most of these beautiful summer days we have. Love the rain that fell this afternoon though. We really need it badly. As I'm typing this post the first day of the new year is nearly over. Although I didn't do much today, I really did not have the time to do this post. Pretty much sums up my 2016. Too much to do and not enough time to do it in. It also means that often my blogs were the ones that pulled on the short end of the stick either through the quality of the post, the quality of the photos, the timing of the posts or just sometimes no post at all which meant a later post dated post. Makes sense? So here I sit on the first day of 2017 and, well, I'm nearly late and have no photo of PE to post. 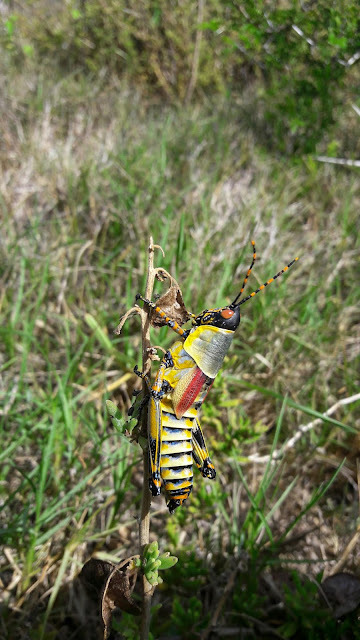 Mainly because we spent the last two weeks away on holiday, most of it up in the stunningly beautiful Drakensberg. So I am starting off the year posting a selfie taken on one of the hikes I took in the Berg. I chose it because of the significance of the moment. The 2000 on my hand doesn't mean it's an old photo from 17 years ago. Not at all. 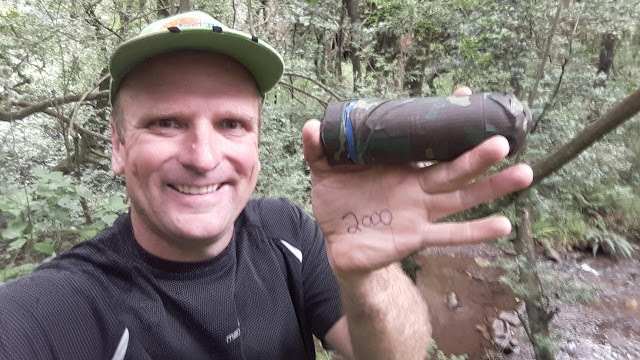 By now most of you know I'm an avid Geocacher and during our stay at Mahai in the Royal Natal National Park in the Northern Drakensberg I found my 2000th Geocache. A milestone I'm very proud of and one I decided to share with you today. 2016 was a tough year. Not all bad but definitely not all moonshine and roses. I decided not to use this post to highlight the highs, mention the lows, draw up my New Years's resolutions or list things I want to achieve or places I want to go in 2017. 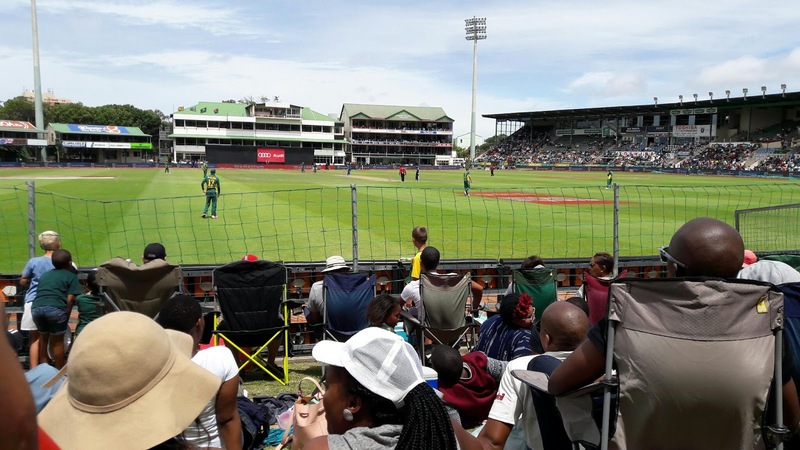 I just want to take this opportunity to wish all my friends and loyal Port Elizabeth Daily Photos followers as well as those who occationally stumble on my blog posts a Happy New Year. May 2017 be your year. I'm sure going to try hard to make it mine. 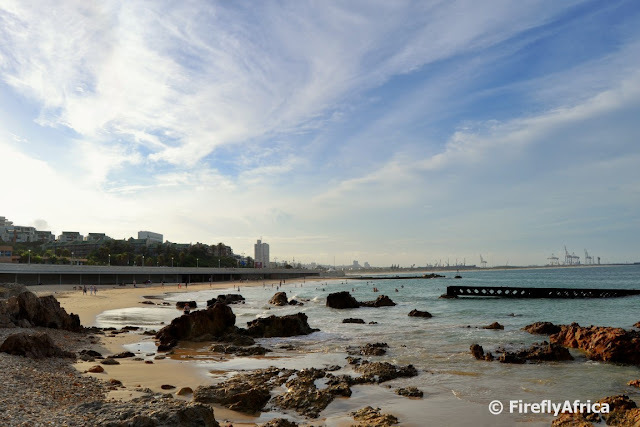 Here's also to hoping that you will all continue to support Port Elizabeth Daily Photo through you visits, reading the posts and sharing the photos and posts on this wonderful city I call home on social media. Have a great 2017!!! !